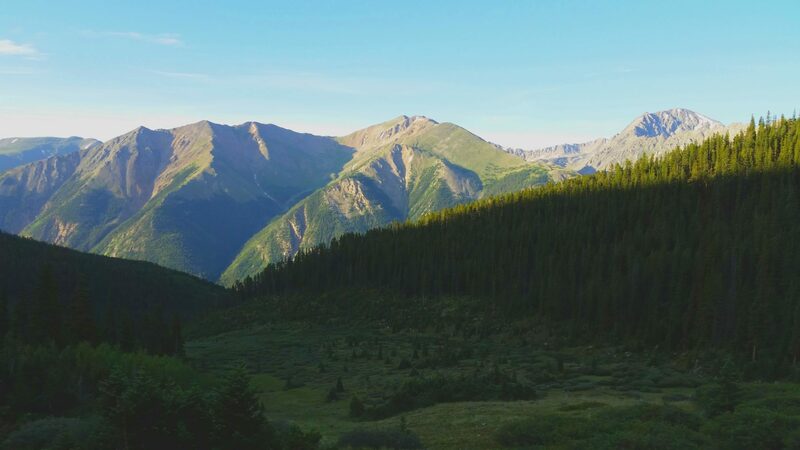 Mt Elbert is the highest peak in the 3,000 mile long Rocky Mountains, a mountain chain which stretches from Canada to Mexico. 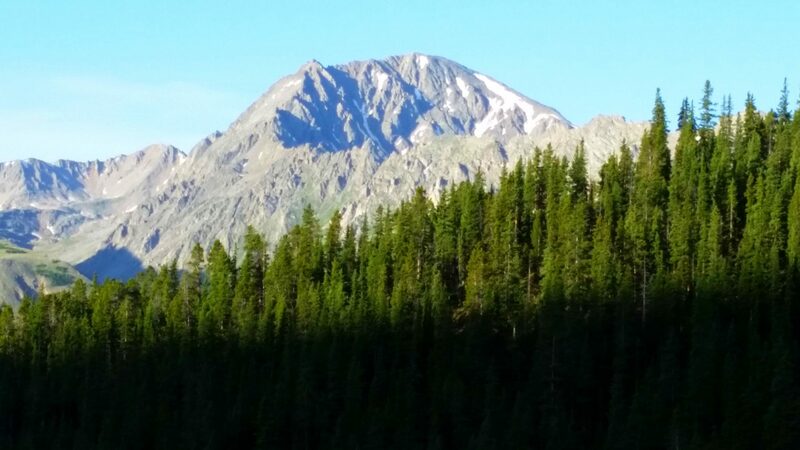 Mount Elbert is also the second highest peak in the contiguous lower 48 states after 14,505-foot Mount Whitney in California. 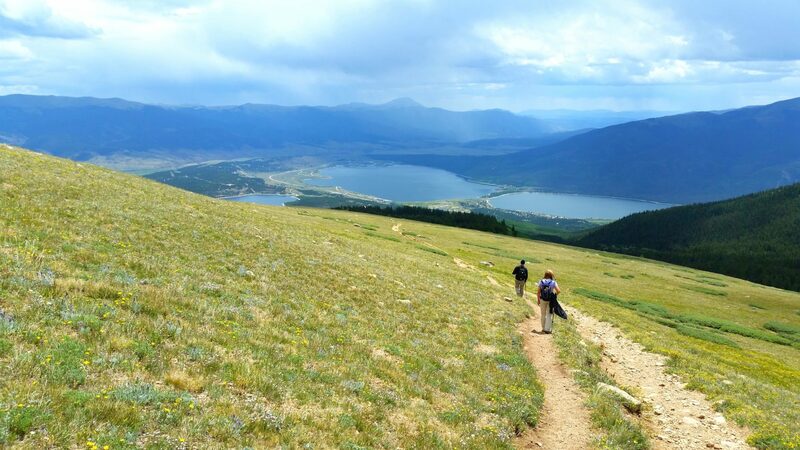 Black Cloud trail is the least traveled but the most beautiful way to summit Mt Elbert. 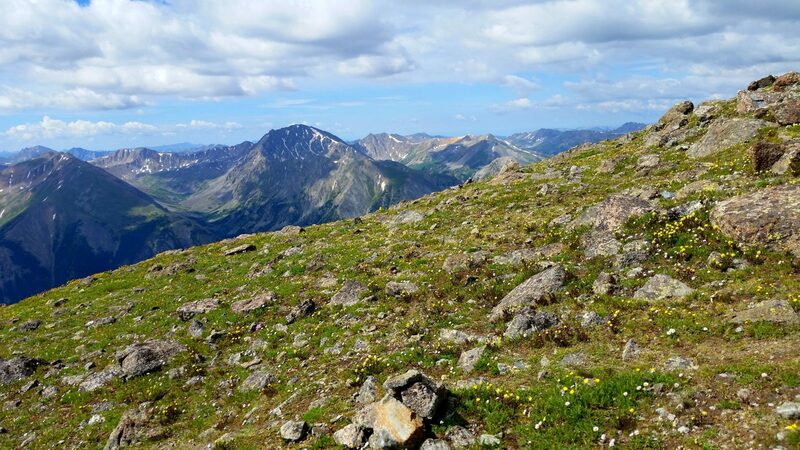 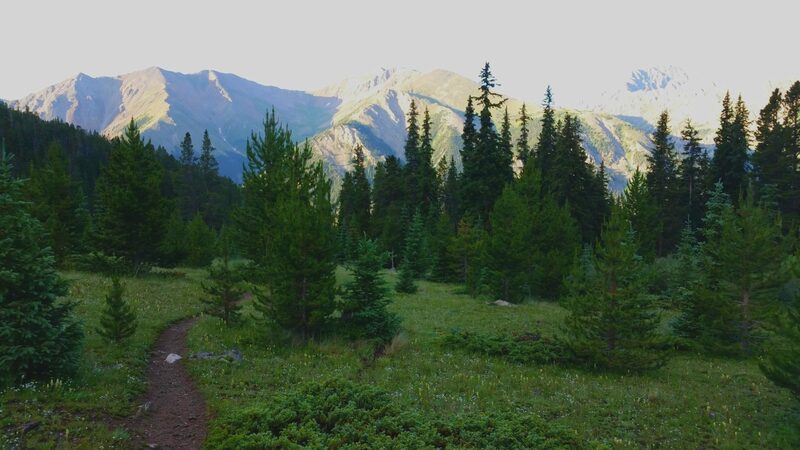 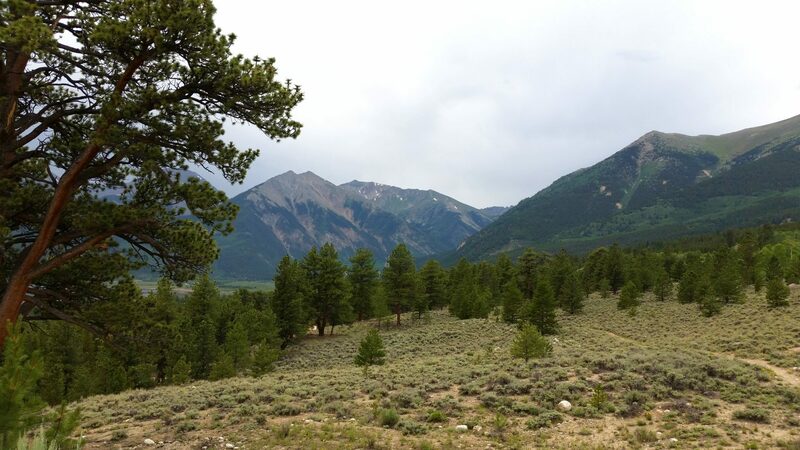 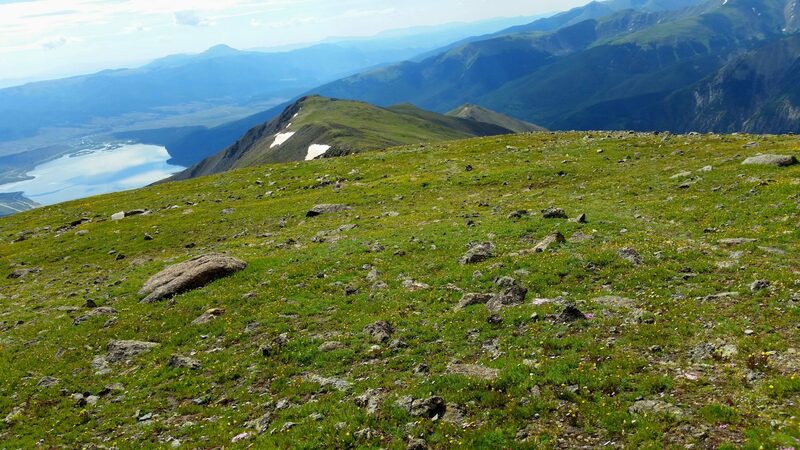 This trail is an alternative route to the more heavily used North and South Mount Elbert Trails for climbing Colorado’s highest peak. 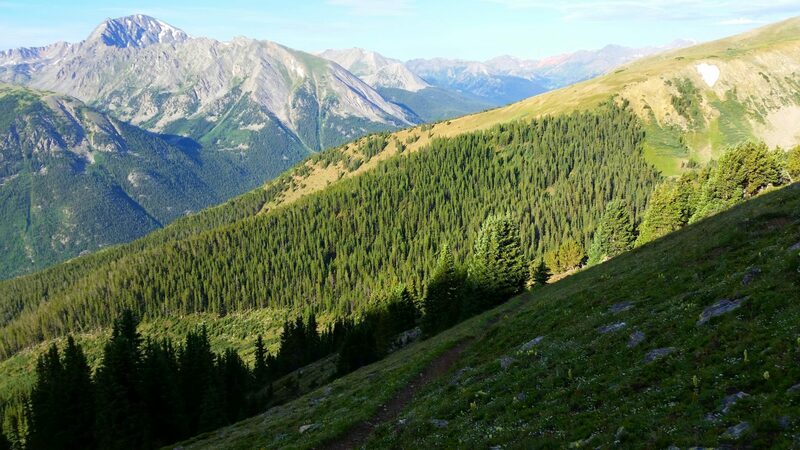 This trail passes through spruce-fir and aspen stands, then through rock beds to ruins of mining operations and cabins. 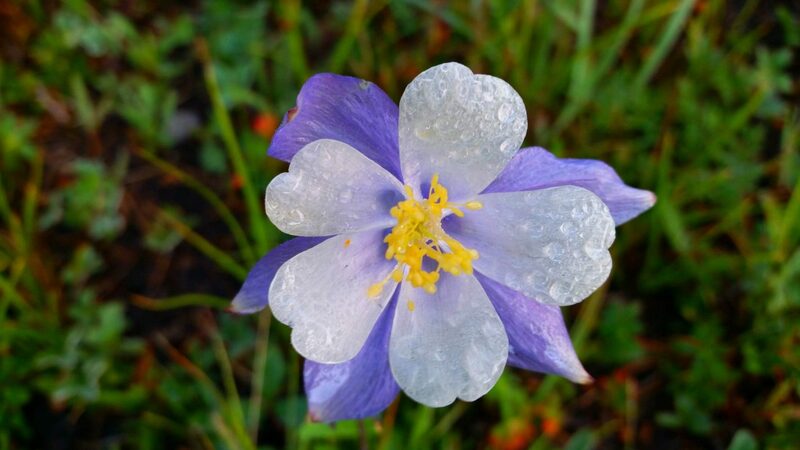 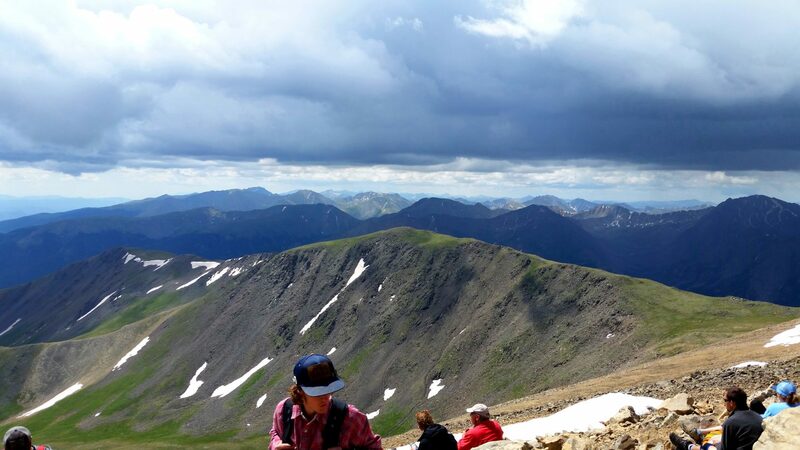 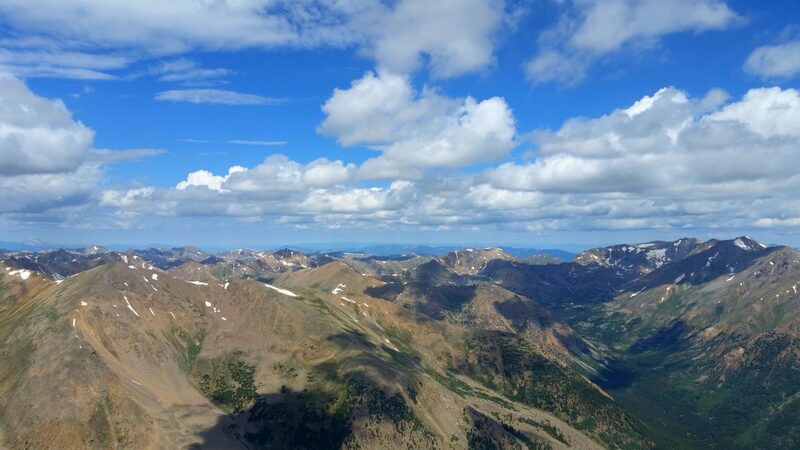 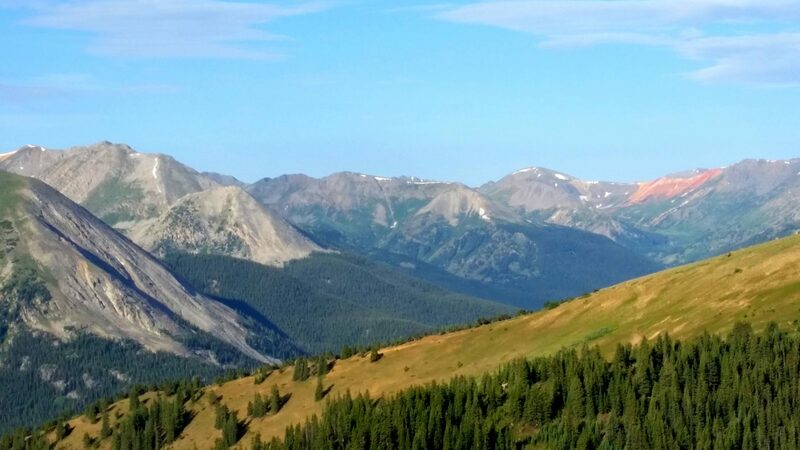 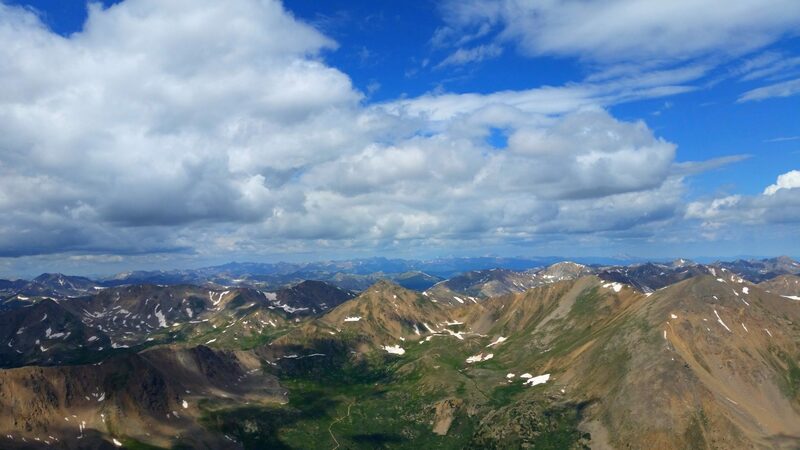 Continuing your hike will bring you to timberline, South Elbert, and eventually Mount Elbert at 14,433 feet in elevation. 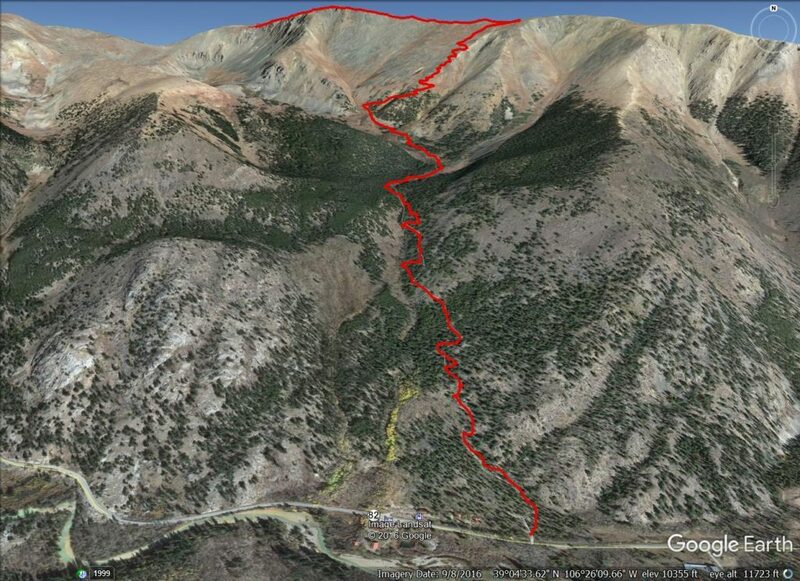 My track up Mt Elbert along the Black Cloud trail. 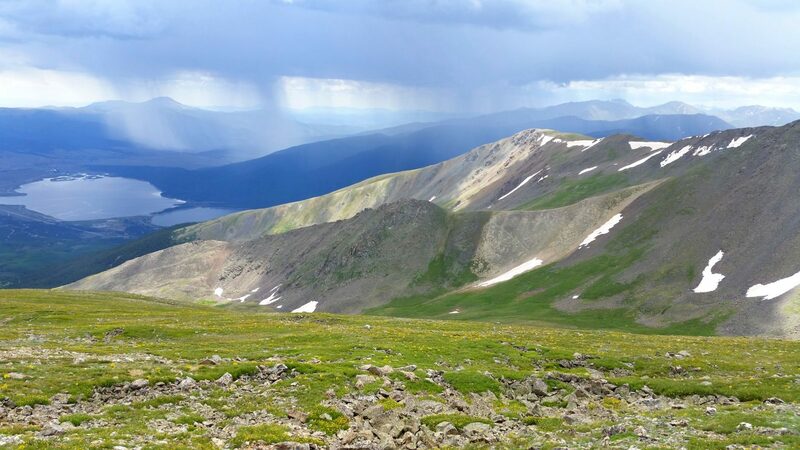 The image is looking due North. 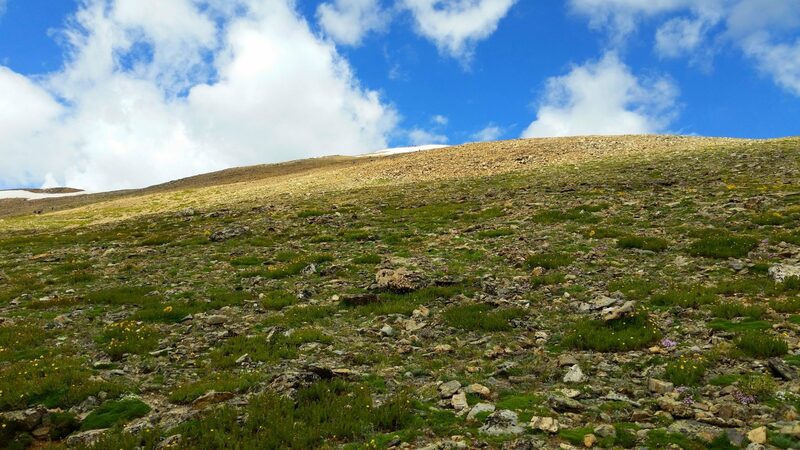 The summit is not visible from this shot.